Today I hiked Bandera Ridge. 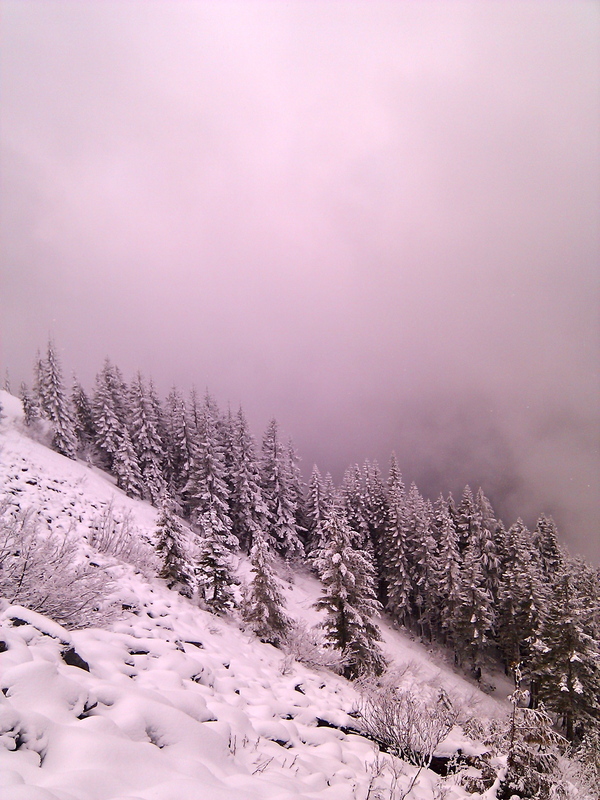 I didn’t make it to the top of the mountain because the snow was too deep and no path had been made yet. 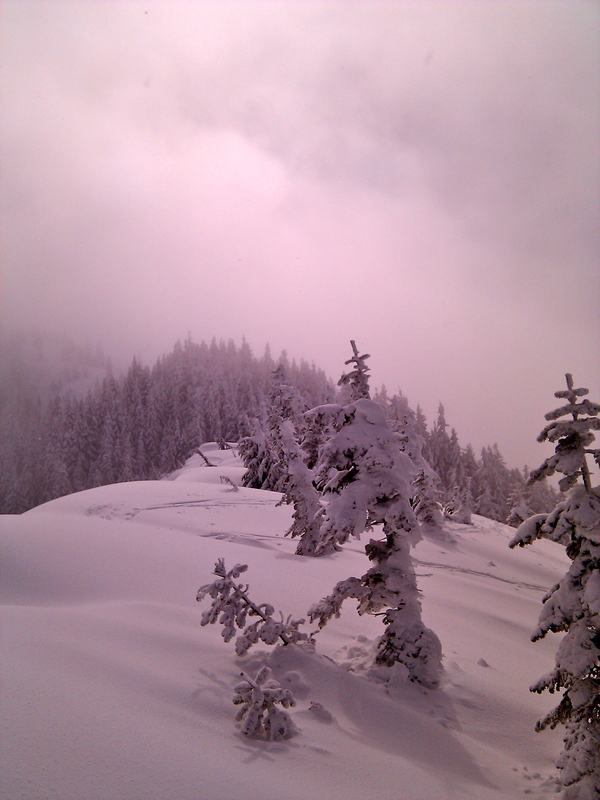 Trudging through knee deep snow up steep mountain slopes is pretty tough. Click on for more photos and a Google map of the trail. This is one of many creeks along the trail up to Bandera. The mountain side is very steep, so the water has a lot of velocity. 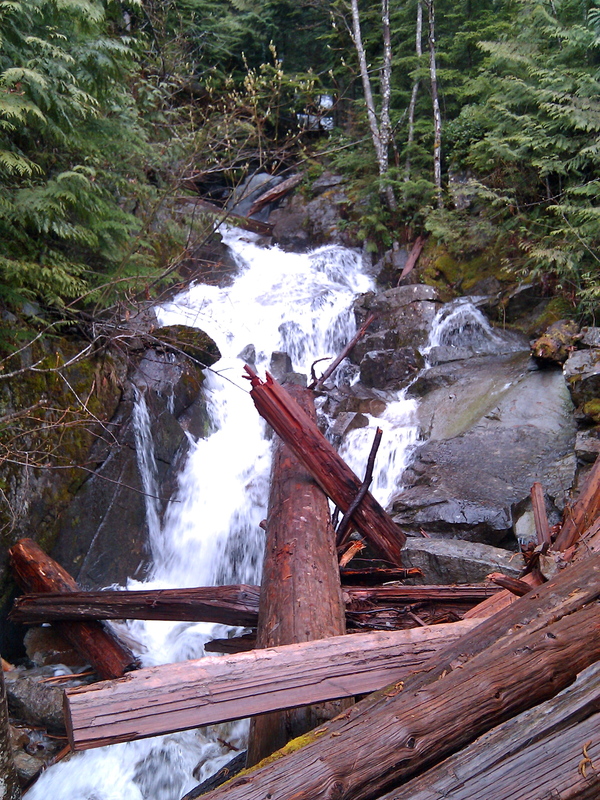 The forest service has also had to put in a lot of plumbing so the creeks don’t wash out the trail. It started snowing on the way up. There was some good snow fall the night or day before as well. The snow would get much deeper. 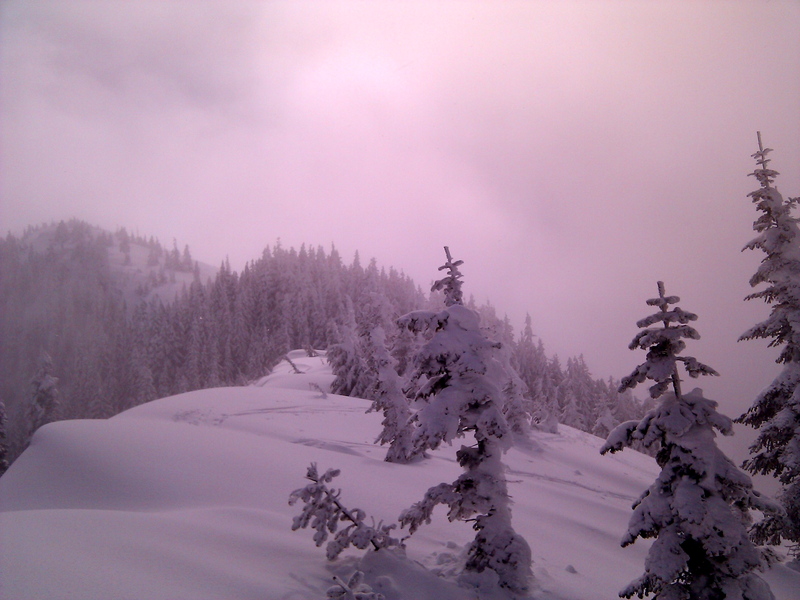 Up above the treeline, the snow added some nice drama to trees. At the top of the ridge. After leaving the tree line, we had to blaze a trail most of the way to this point through knee-deep snow. Heading farther up didn’t seem like a good idea. 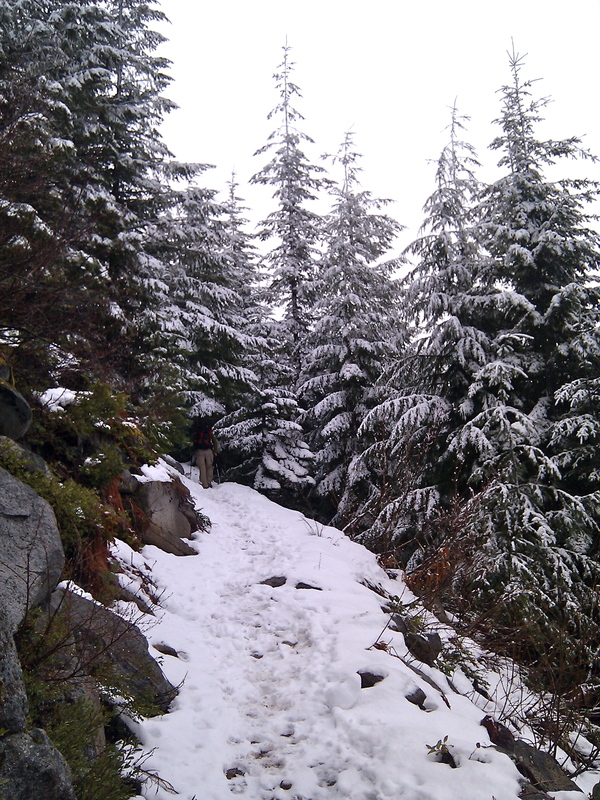 The amount of snow took us by surprised, and neither myself or my hiking partner were prepared to do the long, wet, cold slog to the top. Gorgeous view though. The camera on my Nexus One is pretty decent for a phone, but it still doesn’t come close to capturing the light in situations like this.